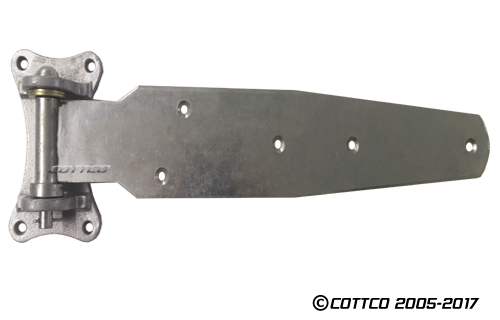 Featuring Polar Hardware's Heavy Duty Hinges specially engineered for heavy duty refrigerated doors and storage buildings, truck and trailer doors. These hinges feature a nylon bearing for smooth operation, and by special order can be supplied with steel roller bearing for extreme service or oven door applications. Hinge Mounting Brackets available Flush to 1-3/8" Offset. COTTCO's exclusive "Determining Offset Guide" accompanies each product listing (where applicable) to help you determine the correct Offset for your specific application. As always, our sales and customer service representatives are available to assist you - simply call us Toll Free 877-283-1745. Polar Hardware 303-HC Cam Lift Hinge 21-5/8"